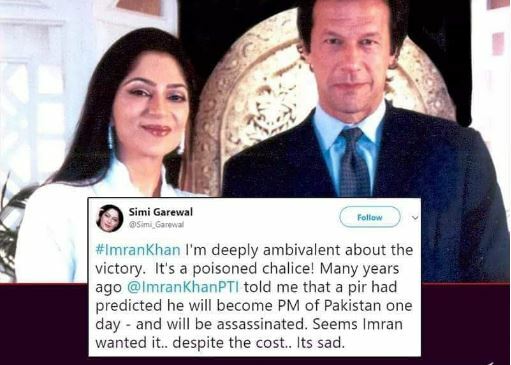 As Pakistan Tehreek-e-Insaf (PTI) Chairman Imran Khan is set to take oath as prime minister of Pakistan on August 11, a rather chilling tweet by Indian TV host Simi Garewal got the attention of PTI workers and followers on social media. In the, now deleted, tweet Garewal wrote: “#ImranKhan I am deeply ambivalent about the victory. It is a poisoned chalice! Many years ago @ImranKhanPTI told me that a pir had predicted he will become PM of Pakistan-and will be assassinated-Seems Imran wanted it..despite the cost. It’s sad. If life was like “IN TIME” movie I would give all my life to @ImranKhanPTI until the last second. Your tweet was so depressing. Thanks for deleting it. 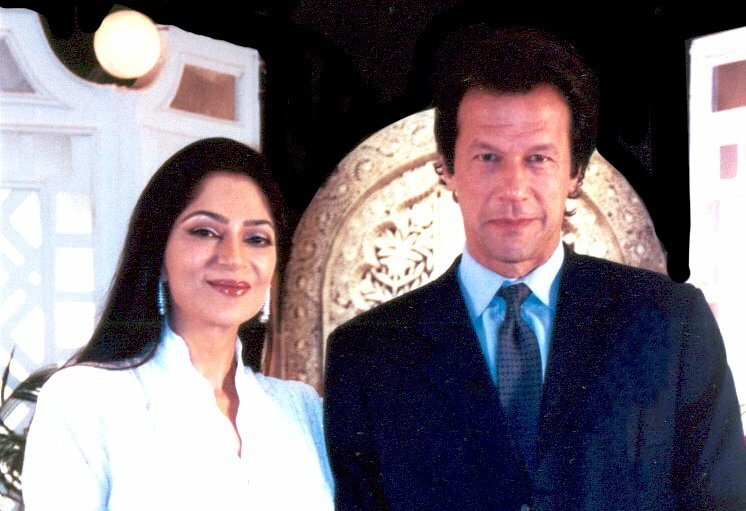 @Simi_Garewal Thanks for deleting that depressing tweet Maam, you have no idea how much Imran Khan means to us, we are even willing to give our life away for him and to protect him. May God bless Imran Khan and keep him safe. U have no idea how much worried i am after seeing the tweet of simi. For God’s sake imran, have some security with you. Pakistan cant afford to lose you.